SayWhatNews: Hello, Dalton. Thanks so much for speaking with SayWhatNews. First I have to ask you how are doing after your terrible car accident back in April? Dalton: I feel great, better than ever actually. Even my scar and eyebrow are starting to heal up real nice. SayWhatNews: In 3 words tell us who is Dalton E. Gray? Dalton: Adventurous, Determined, and Fearless. 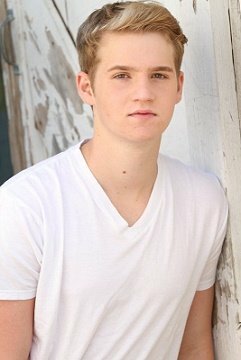 SayWhatNews: Dalton at the age of 12 you became an Actor but before acting you were a Motocross Racer with 200 victories. How did you go from Moto-crossing to Acting? Dalton: My mom and I were in a Hallmark store one day and someone asked if I was interested in doing a commercial, I declined because I was focused 100% on my motocross. About a month later I broke my right collarbone and while I recovered I told my mom to give her a call and I would do it. Within a week she had me in a commercial and within a month I booked my first SAG movie, “No One Lives”. 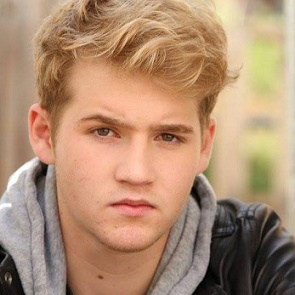 SayWhatNews: Dalton you have starred in other hit TV shows like “Treme” and “Revolution” (just to name a couple). Which TV character has been more challenging to play and why? 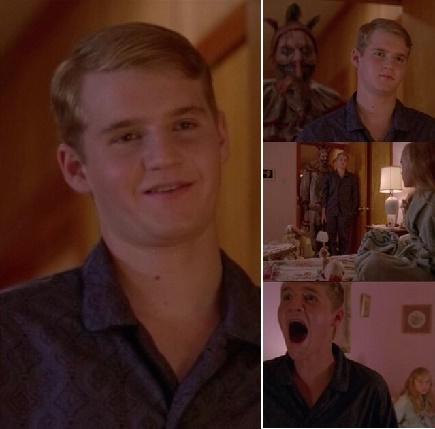 Dalton: I would say Andy from Revolution because when I was dragged away from my mom, it was a very emotional scene and all the scenes were so close that I had to do all my own stunts. Being put in a headlock over and over, I almost blacked out a few times. SayWhatNews: Dalton, besides TV you have also have been on the big screen. In “Dumb and Dumber To” you played a young Harry. What was it like starring alongside Jim Carrey and Jeff Daniels? Dalton: Jim and Jeff were so great. Jim was making me laugh and Jeff was so sophisticated. Seeing Jeff so serious on set and then turn into Harry was incredible. This role meant a lot to me because I grew up watching the first one with my dad. SayWhatNews: Currently in Post-production you have a few projects set to be released (according to IMDB.com). Can you tell us about the horror film “Fray” and your character? Dalton: I play River Crane the son of a drug addict mom when she dies my sister (with whom I am estranged from) has to save me from malevolent faceless spirit. SayWhatNews: Dalton, you have starred in a variety of genres such as Comedy, Horror and Sci-fi. Which genre do you like the most and why? Dalton: I love them all, but if I'd have to choose one I would say horror because I like seeing how everything comes together in the end. SayWhatNews: Tell us something about yourself that your fans don’t know? Dalton: After I broke my collarbone I had a plate put in to repair it and since then I can dislocate my shoulder and lick my elbow. SayWhatNews: Dalton you are such a busy guy, what do you like to do for fun in your downtime? Dalton: I love hanging out with my friends. I find it extremely important to have good friends around. You can find me doing almost anything extreme: riding dirt bikes, BMX, wake boarding, surfing or hanging out down at the lake with my fishing. SayWhatNews: What’s next in the future for Dalton E. Gray? 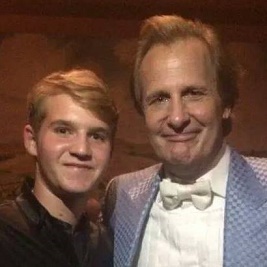 Dalton: My goal is to become a well-respected teen actor that can be a positive role model. I was hit by a drunk driver and suffered……many suffered because of someone else’s poor choice. My agent Dawn Landrum and I plan to do a project that focuses on the fall out caused by drinking and driving to hopefully help prevent anyone else going through such a tragic experience. SayWhatNews: That’s amazing; you have to keep us posted about that project so we can help spread the word.